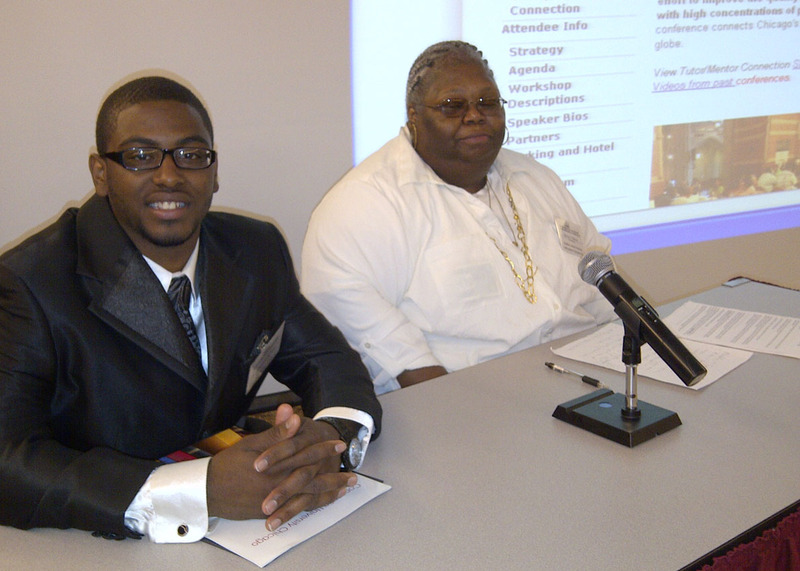 Tutor/Mentor Leadership and Networking Conferences were held in Chicago every six months between May 1994 and May 2015. The goal was to bring people together to network and share ideas, while increasing visibility and the flow of needed operating resources to all of the tutor/mentor programs in Chicago. While the conferences have not been held since 2015 the Tutor/Mentor Connection/Institute, LLC continues to try to connect stakeholders with each other and with information hosted on this and other web sites. Connect with Dan Bassill, founder of this organization, on social media sites shown on this page. 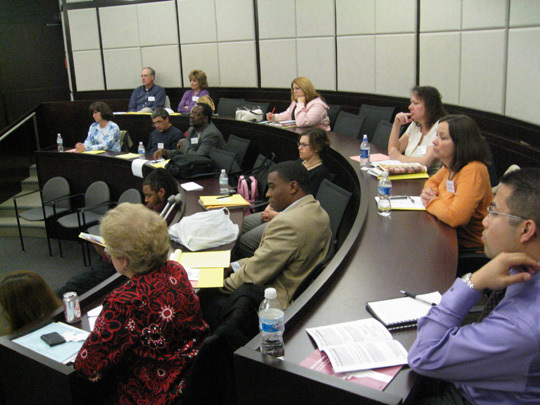 The most recent conference was held Friday, May 8, 2015 at the Metcalfe Federal Building, 77 W. Jackson, Chicago. Ill.
Read more about the conference and tutor/mentor network building. Visit this page to see map showing participants of every conference from 1994-2014. Visit this site to see a StoryMap, showing universities that were hosts to conferences since 1994. See photos from past conferences. Network with other tutoring/mentoring program leaders. While the Tutor/Mentor Institute (this web site) hosts articles and ideas of the Tutor/Mentor Connection, the http://www.tutormentorconnection.org web site is a library with links to more than 1400 other organizations. It is constantly being updated as each organization updates their own web sites and as we add new links. Our aim is to encourage leaders and supporters of these different organizations to connect in face-to-face and on-line forums, where they share ideas, build relationships and learn to solve problems that individual organizations cannot solve on their own. Below are links to the May and November Tutor/Mentor Leadership and Networking Conference in Chicago and to on-line places where T/MC invites people to connect, or where T/MC connects with others. Our challenge: Connecting busy people from multiple sectors. * Join Tutor/Mentor Institute and network on Social Media sites. 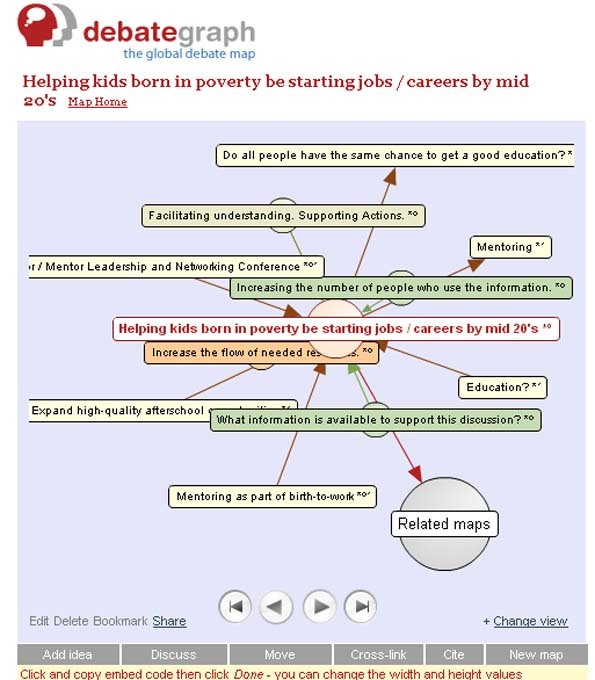 Using maps, charts, on-line learning and networking and other forms of face-to-face and web based communications, the T/MC aim is to focus daily attention on issues of poverty and strategies that connect those who can help with those who need help. We hope to educate volunteers and donors to be shoppers, who search the Chicago Tutor/Mentor Program Locator to find places where they give time, talent and dollars to help expand the network of support for inner city kids attending poorly performing schools. By showing what's possible, we hope to move corporations, foundations, media and organizations that already operate youth development, tutoring and/or mentoring programs beyond what they are doing to what they can be doing. In doing this we and others who join us, are applying the ideas of 'Connectivism' in our work.